 Work ‘N Gear is the largest retail chain in the US specializing in blue collar workwear and healthcare apparel. When the competitive landscape in the Northeast was poised to experience a significant shift, we were positioned to help Work ‘N Gear take advantage. In 2017, the competitive landscape presented Work ‘N Gear with a significant opportunity for growth. With Work ‘N Gear’s brand new e-commerce site about to launch and new store openings on the horizon, their top vendors were interested in a shared co-op advertising plan. Our media team was tasked with the dual objectives of driving awareness and prioritizing in-store & online retail sales for the brand in 10 different markets, supporting 6 co-op brands to achieve ROI targets. We took a tailored approach for each co-op media plan based on the nuances of each market by identifying top store sales, isolating best performing stores by co-op vendor, and targeting messaging for each medium: radio, out-of-home, paid search, paid social and display. In the end, each brand had a media mix unique to their co-op investment and sales goals. Work ‘N Gear’s fiscal year experienced strong performance across all major channels. Growth in organic and direct search traffic was influenced by the campaign investment. Based on the campaign’s success, a new evergreen campaign promoting the Work ‘N Gear brand and their private labels is already underway.